Adelaide Trio Band 470 – Looking for a polished, professional, reliable music act? Well look no further. 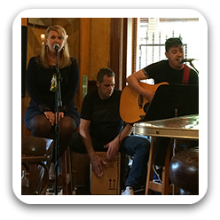 Adelaide Trio Band 470 are an Acoustic music act, offering both male and female lead vocals, great harmonies and awesome cajon beats. Their sound is modern and versatile, covering four decades of great music. 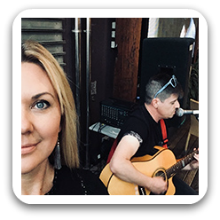 With member 1 as the main voice and front person of Adelaide Trio Band 470, her bubbly personality keeps everyone entertained and singing along, and with over twenty years experience performing in Adelaide, Sydney and overseas, her goal is always to make everyone feel welcome. The boys have played music together for most of their lives and this shows in the polished music and fantastic groove that always sits just in that sweet spot to get your toes tapping. Experience playing weddings, pubs and corporate events, they can adapt their style to perfectly suit your event.